Product prices and availability are accurate as of 2019-04-23 17:48:46 EDT and are subject to change. Any price and availability information displayed on http://www.amazon.com/ at the time of purchase will apply to the purchase of this product. Premium Camera Accessories Bundle / Kit for Nikon Coolpix Cameras - The Xtech Camera Accessories Kit for Nikon Coolpix Cameras Cameras includes the Essential Accessories for carrying and taking pictures with a Nikon Coolpix W300, W100, A300, A900, A10, A100, AW130, S333, S9900, S5700, S6900, S3700, S2900. The Kit includes a Premium Point and Shoot Camera Case, Memory card wallet holder, Mini tripod, Memory card reader, 5 piece cleaning kit and more. SMALL CAMERA CASE - The Xtech Small Camera Case is ideal for Nimon Coolpix Cameras, it is made from high quality protective material, designed to protect your camera from common damage, in addition it has a front zippered pocket for storing common accessories such as memory card and cleaning cloth. 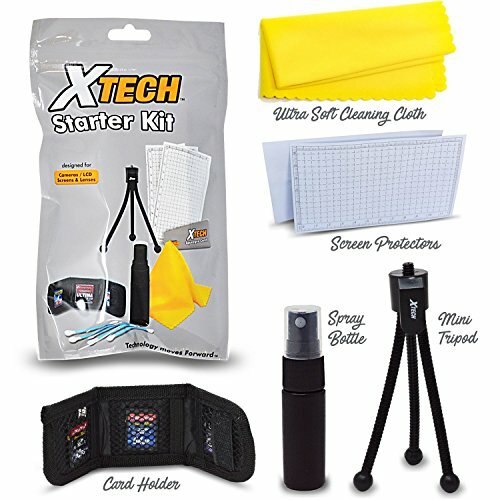 XTECH CAMERA STARTER KIT - Xtech Camera Starter Kit includes useful Camera Accessories including memory card holder, screen protectors, Mini Table Tripod and cleaning material. CAMERA ACCESSORIES - Additionally included in the kit is a Memory card reader, lens cap holder, cleaning pen and blower. HEROFIBER CLEANING CLOTH - Included in the kit is a HeroFiber ultra gentle cloth designed to clean electronics and accessories. 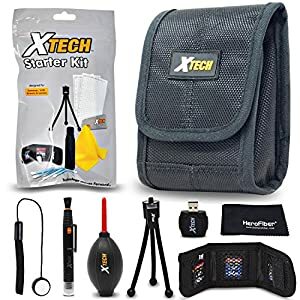 Xtech Camera Accessories Kit Bundle for Nikon Coolpix Cameras includes the Ideal accessories for capturing extraordinary photo and videos with Nikon Coolpix W300, W100, A300, A900, A10, A100, AW130, S333, S9900, S5700, S6900, S3700, S2900 and other similar cameras. 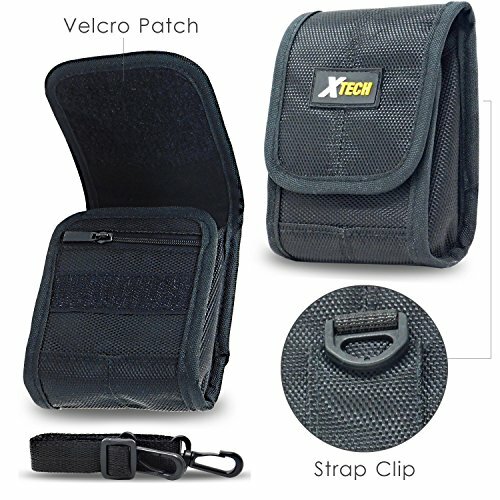 SMALL CAMERA CASE - The Xtech Small Camera Case is ideal for Point and Shoot Cameras, it is made from high quality protective material, designed to protect your camera from common damage, in addition it has a front zippered pocket for storing common accessories such as memory card and cleaning cloth. 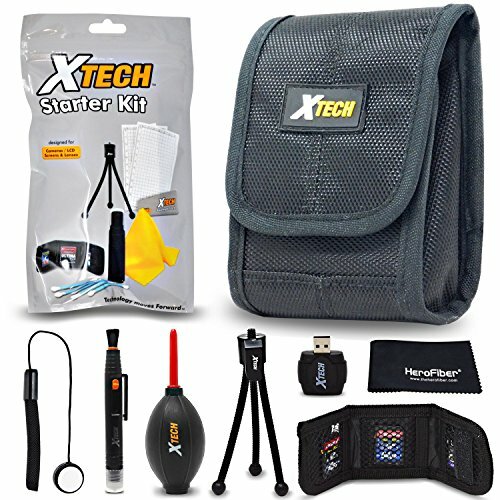 XTECH CAMERA STARTER KIT - Xtech Camera Starter Kit includes useful Camera Accessories including memory card holder, screen protectors, Mini Table Tripod and cleaning material. 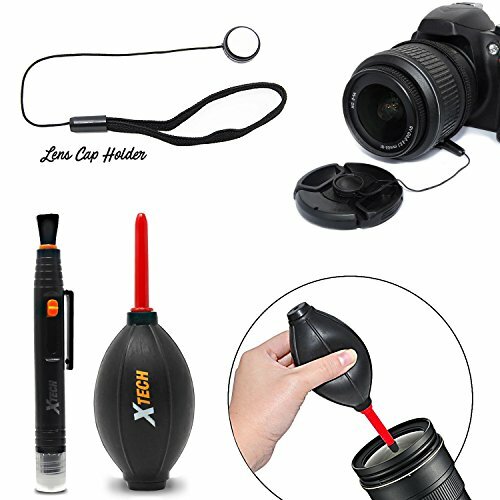 CAMERA ACCESSORIES - Additionally included in the kit is a Memory card reader, lens cap holder, cleaning pen and blower. HEROFIBER CLEANING CLOTH - Included in the kit is a HeroFiber ultra gentle cloth designed to clean electronics and accessories.